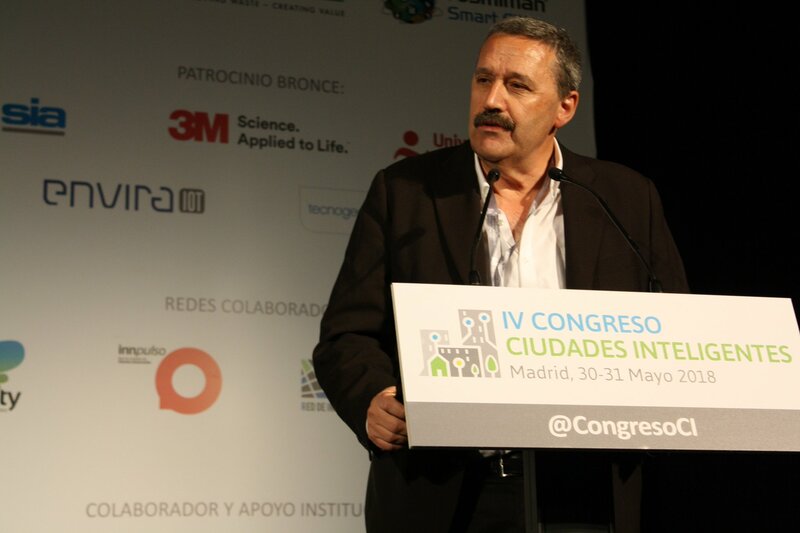 Fomento San Sebastián, dependant entity for the Economic Promotion of the city of San Sebastián – Donostia, has submitted the European Lighthouse project REPLICATE on the Smart City Congress held during the days of the 30th to the 31st in Madrid. The Basque experience was given by Fomento San Sebastián’s General Manager, Euken Sesé, who centered his speech on showcasing San Sebastian’s Smart City strategy, and the various Smart projects currently being implemented in the city. To be precise, the situation on the Vega del Urumea district was presented, where different actions contained on the REPLICATE project’s framework, coordinated by Fomento San Sebastián, are taking place. The selected neighborhood will materialize the planned integrated strategy with the goal of converting it to a near zero emission smart district, achieving the sustainable district branding. The district involves three areas of about 200 hectares of combined land: The residential area (the neighborhood of Txomin), industrial park (Polígono 27) and the nature park (Ametzagaina). The distinct actions which are being developed within San Sebastián’s project can be divided on Energy Efficiency, Sustainable Mobility and ICT & Infrastructure areas. The REPLICATE project, co-financed within the Horizon 2020 contract number 691735 (European SCC1 Smart Cities and Communities call), is made up of an international consortium of 38 members, involving cities, companies, universities and technology corporations. Among them one can find three Lighthouse Cities; San Sebastián, Florence and Bristol; and three Follower Cities; Nilüfer (Turkey), Lausanne (Switzerland) and Essen (Germany). The project’s budget contains more than 29 million Euros destined for the three Lighthouse Cities: San Sebastián’s financial share is made up of about 11 million Euros. The project’s duration covers 5 years; relegating the last two years to monitoring the implemented actions. This has been the fourth edition of the Smart City Congress, with the goal of boosting the exchange of knowledge and better practices on the field of Smart Cities, using both technology and innovation as a base tool for it’s development. Within the stablished programme, a variety of themes have been introduced by the speakers, selected for their knowledge and experience; among them the one submitted by the Deputy Mayor’s office of San Sebastián, through Fomento San Sebastián. The congress’ themes have ranged from Digital transformation and 4.0 Public Services to Climate Change, Energy Efficiency and Renewable Energies and Business Models. Taking part on this congress has been helpful on disseminating San Sebastián actions being developed within the REPLICATE project framework to other agents at a national level, as well as showcasing Fomento San Sebastián’s different work axis’ within their Smart Strategy. Administration members, experts, and companies spawning a variety of fields involved with the congress’ themes have been accounted for during the event.